Quick trip update: We ended up leaving from Ayala Cove on Saturday and had Southerly winds of 15 to 20 on the nose the entire way. Only sailed about 1/2 of the way. Foreward progress dropped to about 2.5 to 3 kts with the wind, swells and waves. We planned on anchoring but after the beating we took on the way down we ended up taking a slip at Pillar Point. Spent a nice day walking around the area and visiting the brewery on Sunday. 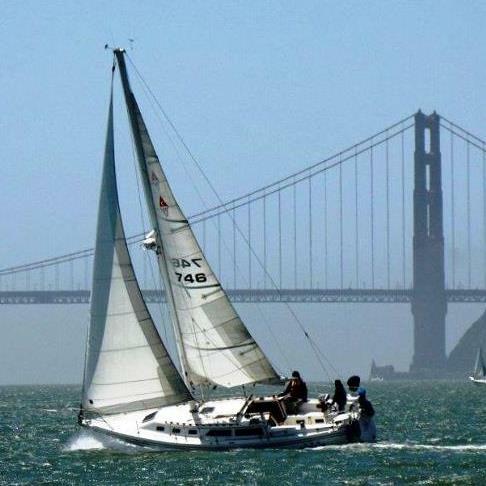 Monday morning we left around 0900 and after motoring past the breakers at Mavericks we had an excellent sail all the way back to Alameda with 10 to 15's from the North arriving at 1800; even got in a nice spinnaker run from Alcatraz to the the estuary. Over all a great trip. The boat did excellent both ways. Brian, Glad to hear you guys made the trip and had a good time! Hopefully we'll get a chance to make that destination in the spring. Thanks for the follow-up.